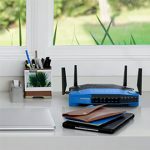 The Google WiFi is one of the most popular dual-band WiFi mesh systems because the manufacturer has focused towards delivering two of the most important things that the audience was craving for: a simple configuration and maintenance process and a stable, but decently powerful wireless performance. 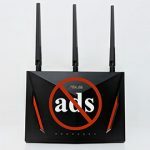 The AiMesh is not like the other dedicated WiFi mesh systems, but it is one of the two attempts from Asus at gaining some ground on this new market for the home WiFi networks. 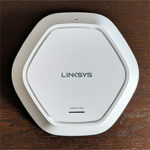 The first attempt was by conforming to the dedicated WiFi mesh systems rules with the tri-band Asus Lyra (which had and still has some problems with the backhaul traffic handling) and the second, by allowing the users to re-purpose their older Asus routers and create a large mesh system with AiMesh. This way, you have more freedom to use a larger variety of routers to work as nodes into the new mesh network and, since the Google WiFi is a dual-band system, I created a dual-band AiMesh network using the Asus RT-AC86U and the RT-AC68U in order to more clearly see the common elements and the differences between these two significantly different approaches. Note: You can also check the full review of the Google WiFi and the full review of the Asus AiMesh (with the RT-AC86U and the RT-AC68U). No one can ignore the major influence that Apple had on the consumer market and I know that you immediately thought about phones and tablets, but the consumer-type networking market was equally influenced by its minimalist trend, although, a bit later and in the form of the WiFi systems which borrowed the design language of the Apple AirPort series. 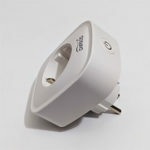 So, the Google WiFi consists of three identical units, each of them featuring a small-sized cylindrical case, covered by a white matte finish (does not retain fingerprints) and, if it wasn’t for the Power cable, you wouldn’t have distinguish it from a cream container. This highlights just how far the new systems have migrated from the traditional router, which is big, usually covered by a black finish and with antennas pointing from the rear side (or, as can be seen with the newer routers, the antennas now surround the case entirely). 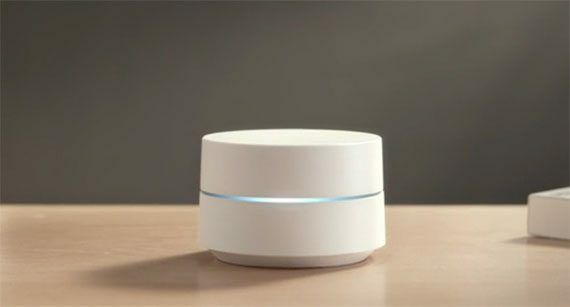 A Google WiFi unit measures about 4.17 x 2.70 inches and weighs around 12 ounces (it’s smaller than its tri-band brothers, such as the Velop or the Orbi), but, despite its size, it still remains a fairly powerful router, so I expected to see some cut-outs for keeping the internal temperature in check. Unfortunately, Google disliked the idea of breaking the design continuity of the device, so there are no ventilation holes anywhere around the case (therefore, you must keep it in the open, otherwise, it can overheat). 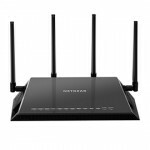 My AiMesh system consists of two Asus routers, the RT-AC86U and the RT-AC68U, both having lots of design elements in common, such as the rectangular case, the vertical-only available position, the solid, built-in stand or the three detachable antennas pointing upwards from the top of the devices – and it’s no wonder since the RT-AC86U is the official successor to the widely popular, but older RT-AC68U (by almost 5 years). 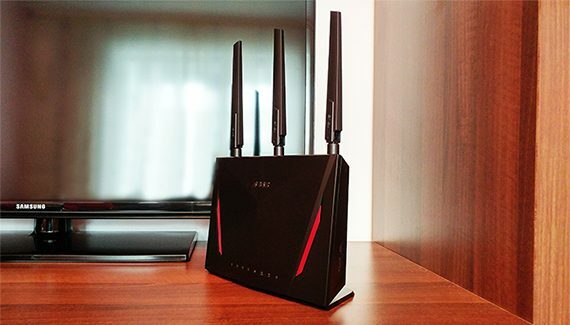 Both routers measure approximately 8.6 x 6.3 x 3.2 inches and both weigh around 1.92 lbs, so they’re significantly larger than the Google WiFi and have a more ominous look (additionally, the RT-AC86U has some red sections to emphasize the fact that it’s a gaming-focused router). But, while neither of these two routers are living-room friendly, they do have lots of ventilation cut-outs on the rear side, so they should have a better temperature management. And that’s especially true for the newer Asus RT-AC86U which runs cool in most scenarios, but not really for the RT-AC68U which does have the tendency to run a bit hotter (it’s better to also keep it in the open). One of the design signatures of the WiFi systems is the single LED approach and the Google WiFi is one of the early adopters of this system, the LED being positioned in a narrow canal which cuts the device almost entirely in half horizontally (it is interrupted by a Reset button). The LED will light a different colour in various patterns to show the status of the system: for example, solid green-blue indicates that the WiFi unit works properly, but a flashing red colour indicates an error, while flashing amber shows that the router lacks a connection to the Internet. I understand that an array of LEDs would not look good on a WiFi system, but it still is better at showing the status of the system and if it experiences an error. That’s why I prefer the frontal LED indicators of the RT-AC68U and RT-AC86U which show the status of the Power, USB ports, Internet connection or the LAN ports connection. 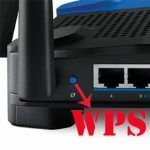 If you take any of the three Google WiFi units, and turn it upside down, you’ll notice that there’s a decently sized cavity in which reside a USB type-C port for powering on the device and two Gigabit Ethernet LAN ports (the router that gets connected to the modem will have only one LAN port available, while any other Google WiFi points will have two LAN ports available for either client connection or for Ethernet backhaul). As expected, both the Asus RT-AC68U and the RT-AC86U are a lot more generous in terms of ports, so, each of these devices features a Power port, an On/Off button, a USB 2.0 port, a USB 3.0 port, a LED On/Off button, a WAN port and four Gigabit Ethernet LAN ports (as well as a WiFi On/Off switch and a WPS button). Verdict: The Google WiFi is one of the best designed WiFi mesh systems available right now and its simple and clean look will give its user more freedom when choosing the best spot in the room. 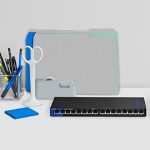 But, if you don’t mind the more industrial look of the traditional router, then you will get more LAN ports and functional USB 2.0 and 3.0 ports for more storage options. Since this round is heavily dependant on the user preference, it ends in a tie. Google has equipped every Google WiFi unit with a quad-core Qualcomm Atheros IPQ4019 2×2 chipset (ARM Cortex-M0 processor), 512MB of RAM and 4GB eMMC / 4MB Winbond flash memory. Furthermore, there’s also the Bluetooth 4.2 wireless technology (and the early models had the ZigBee radio enabled). The Asus RT-AC68U is equipped with a dual-core Broadcom BCM4708A0 3×3 (clocked at 800MHz), 256 MB of RAM and 128 MB of flash memory (from Spansion). The newer Asus RT-AC86U is significantly more potent, sporting a dual-core Broadcom BCM4906 chipset (ARM v8 Cortex A53 clocked at 1.8GHz), 512 MB of RAM (from Micron) and 256 MB of flash memory (from Macronix). 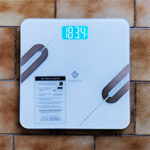 Verdict: Although lacking any type of smart home IoT technologies, the Asus RT-AC68U and the RT-AC86U form a more powerful system than the Google WiFi, so the Asus AiMesh wins this round. 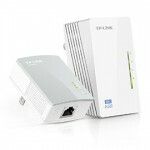 The one-unit traditional router has dominated the home network market for a very long time, but the industrial look and the complexity of the user interfaces have often rendered the router as a foreign piece of technology which would be set up by the tech-savvy acquaintance and then it would remain hidden in a corner of the room, while the user forgets about its existence. The Google WiFi is one of the first WiFi systems to have addressed these problems and it’s no surprise that it quickly became so popular that now, it has managed to actually challenge the need of a single router (which just couldn’t be able to completely cover a large home). 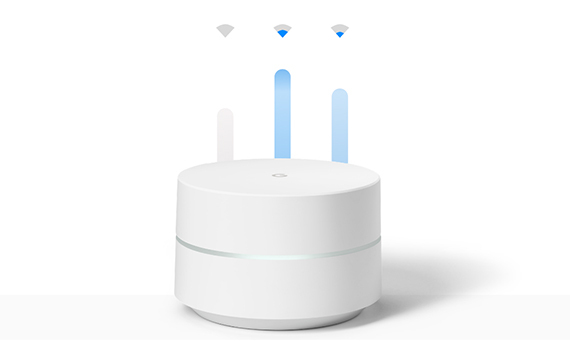 But, besides the minimalist design and the simple user interface, the Google WiFi also takes advantage of what is called the mesh technology which would help connect all the available routers into a homogeneous network. 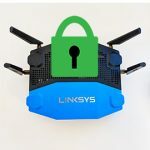 This type of mesh network doesn’t use any standard, so its proprietary, but it does share the same abilities with the other available WiFi mesh systems, including the AiMesh. The most important property is the self-optimizing ability which scans all the connected nodes (routers) from the network in order to identify the distance between them, the signal strength, the radio band congestion, the used channels (and more) in order to create optimized paths between the nodes for your data. Furthermore, if you add new nodes, the mesh network will detect it and use it to create new, better routes, but, in case a node fails, the network will search for the closest and least crowded node and re-route the data in order to ensure that it safely reaches the destination (this way, the user doesn’t experience any downtime). 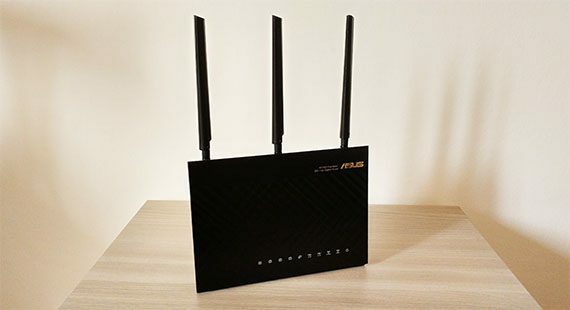 The fact that Asus decided to adopt this technology and implement it to its older and newer one-unit routers is an important step towards giving the users more options and it’s an ingenious way to keep those tempted by the dedicated WiFi systems into the Asus environment. 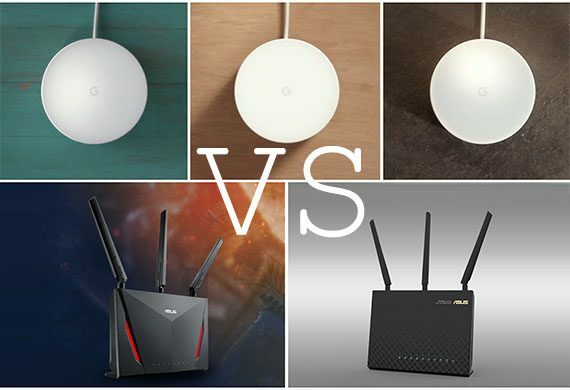 Because the AiMesh can be used with such diverse Asus routers, one may be tempted to think that since the Google WiFi has three identical units, it also behaves as a closed system, while, in truth, Google’s software allows the connection of the OnHub routers to the Google WiFi nodes, therefore creating a larger network with pre-existing devices. 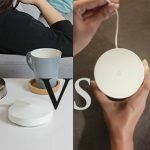 But, Google has been a lot shyer with this approach and the OnHub routers are similar to the Google WiFi nodes at least from the features point of view, while some Asus routers are not really perfect matches, such as the case of the Asus RT-AC68U which lacks the MU-MIMO technology and, with the current firmware version, it does not support the SmartConnect feature (so, no band steering on that specific node when using AiMesh) – the Google WiFi supports automatic band and client steering. 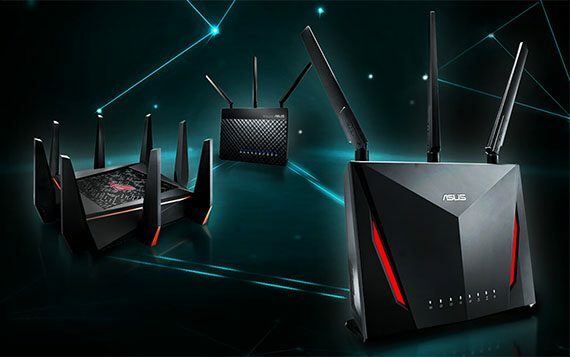 At the same time, the newer and more powerful Asus RT-AC86U does come with MU-MIMO support, SmartConnect (with AiMesh), RangeBoost and several gaming-focused features for both online and offline gamers (the WTFast server and the LAN Boost).